BIODIVERSIVIST: Has anti-nuclear fear mongering nullified all progress made by wind and solar since 2000? Has anti-nuclear fear mongering nullified all progress made by wind and solar since 2000? "Twitter debate" is an oxymoron but once in a while I go down the rabbit hole, and when others get involved, it quickly devolves into a confused muddle not too unlike Alice in Wonderland. The argument that the closing of the Japanese and German reactors as a result of anti-nuclear fear mongering may have largely, if not entirely, nullified all efforts by wind and solar to reduce emissions from 2000 on is pretty devastating. Antinuclear fearmongering began in 1970s. Why does red curve only start 40 years later? ...but those don't show up on the graph that Finley posted: Steady growth until a few years before Fukushima. Thus, the story of how antinuclear fears shaped the growth of nuclear energy is more complex & dynamic than the thesis that anti-nuclear fears were responsible for decline in global nuclear output after Fukushima. No similar declines after Chernobyl or TMI. The causal factor was present for 40 years, but the decline only recently. Thus, more to the decline than just fears. In your argument, what caused citizens to become convinced nuclear was too dangerous after Fuku 11, but not after C'byl 86 or TMI 79? You're saying that 60 or so reactors in Germany and Japan would have closed post quake even without the indoctrinated unfounded fear of it. No. I never said that. I said that the fear is complicated, and it's only one of the many factors. 60 reactors didn't close after C'byl. Many reasons. One is techno-optimism: renewables were much more plausible to public in 2011 than in 1986 (20% of German electricity). I responded that "techno optimism" does not explain the suddenness of the closures in Japan and Germany. The suddenness was out of unfounded, implanted, fear. As for Chernobyl, fossil fuels were very plausible substitutes for nuclear back in 86 but didn't replace it in Russia (as they have largely done in Japan and Germany) because they had not been indoctrinated with a fear of nuclear. Neither fear nor optimism account for the whole story. What other factors do you think contributed? I am saying that it's more complicated than just one cause, and we don't know all the factors. You're the one saying it's one simple cause. Conversely, I wonder ab't role of techno-optimism: growing perception that renewable power is feasible, so ppl want clean non-nuke options [emphasis mine]. The groups over-hyping solar/wind/HVDC Super Grids (the techno optimists, except when it comes to new nuclear) tend to be quite negative about nuclear (Mark Jacobson is rabidly anti-nuclear). Clearly, and unequivocally, Japanese and German reactors were not closed by economic competition. Fear is the link that all of the other arguments for the closing of Japanese and German nuclear hang from. Without the fear factor, those reactors would still be up and running. In a nutshell, the world can thank the misinformation disseminated by anti-nuclear groups for nullifying most, if not all, emissions reductions from wind and solar combined since 2000. 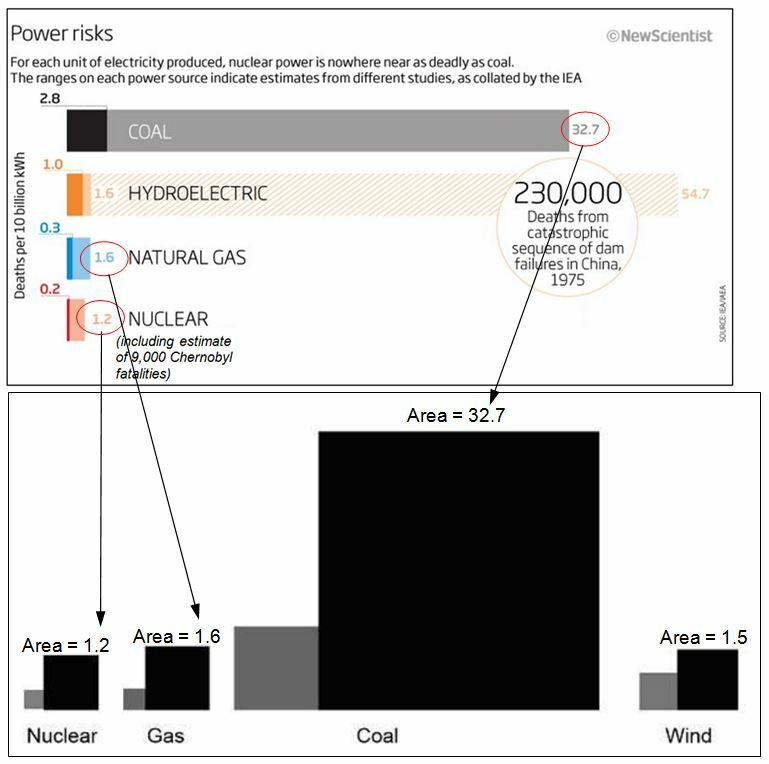 If Figure 1 starts to gain traction (finds its way into other articles as my aerospace/nuclear industry analogy did), we can expect to see the formulation of more counter-arguments to deflect the blame away from anti-nuclear fear mongering for largely nullifying the progress of wind and solar. Watch for it. Because all studies depend on input assumptions, by assuming that there is an extra cycling penalty on natural gas used to follow the many ups and downs of wind and solar and assuming a reduction in capacity factor for aging wind and solar farms, it wasn't difficult to tweak assumptions to show that the closure of nuclear has nullified all emissions reductions from wind and solar since 2000. A spreadsheet showing the assumed factors as variables allow one to see the impact of choosing different assumptions. A serious study would be vastly more complex and should include error bands and on and on. My simple spreadsheet (screenshot in Figure 2) is substantially simplified, serving only to demonstrate some of the factors that would be considered to quantify emissions nullification. Like any study, it's biased, and in this case, the bias is in a direction to make my points about research bias as well as the lack of progress resulting from the closing of nuclear. A recently published meta study (of dozens of other recent studies) found that inclusion of nuclear along with wind and solar in low carbon grids significantly reduces costs. Update 7/24/2017: Added last two paragraphs and figure 2.